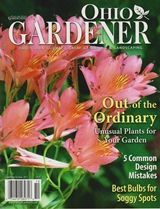 Last week, I wrote about collections for my garden column that I write each week for our local newspaper, the Paulding Progress. 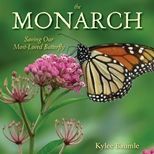 Gardeners collect plants, certain genera of plants, garden tools (such as hoes), and old garden books. I do the former and the latter, but I used to collect something else. Long before I ever knew or even thought about becoming a gardener, way back in the sixth grade, I collected postcards. Cheryl, my best friend at the time, and her family were antique buffs and I often went with them on their journeys to local antique dealers to look for treasures. I often came home with odds and ends of things, but always more postcards to add to my collection. I still have that collection, kept in a shoebox and stored in a closet, but now and then I get it out and look through it for a certain postcard that pops into my memory for some reason or another. A couple of weeks ago, as we were cleaning out the attic over the garage, another box was found - a box of old family photos and memorabilia from my mom's side of the family. Found amid the pieces was this postcard, addressed to my great-grandma. A friend of hers had sent greetings from Belle Isle in Detroit, depicting the Horticultural Building. The postmark was dated August 31, 1920. My great-grandma would have been 28 years old at the time. I knew Great-grandma Gertie, and so did my girls, though I doubt they remember much about her. She died in 1988 a little over a month away from her 96th birthday. Though I don't live that far from Detroit (2½ hours), I've never been to Belle Isle, and I'm not familiar with it, but finding the postcard piqued my interest. 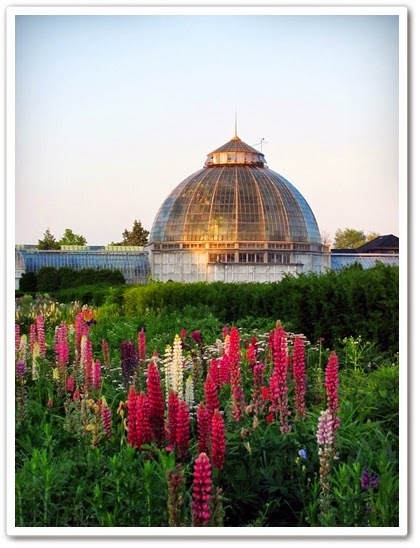 Next summer, I hope to attend the first World Cup of Gardening event to be held on none other than Belle Isle, located in the Detroit River. 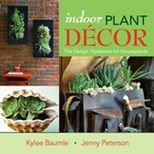 This premier gardening show, running from June 16-21, 2015, is expected to be world-class, showcasing ten 1000-square-foot gardens designed and built by internationally acclaimed landscape artists from around the world. There will be educational opportunities, vendors, entertainment and diverse food offerings. More information about the show can be found on the official website as well as in this brochure. The 982-acre park, which is the largest island park in the U.S. and on the National Register of Historic Places (so designated in 1974), was designed in 1883 by the famous landscape architect, Frederick Law Olmsted. The Horticultural Building, also called the Conservatory, was begun in 1902 and completed in 1904, when it opened to the public. Originally a wooden structure, the frame was rebuilt with steel and aluminum in 1949. In 1953, it was renamed the Anna Scripps Whitcomb Conservatory, after Ms. Whitcomb donated her collection of 600 orchids. 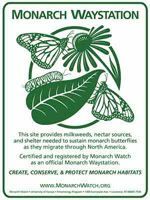 It is the oldest continually operating conservatory in the U.S. and is open to the public at no charge. A bit of a mystery though, is the Lily Pond. Online sources tell me that it was not a part of the original design and that it wasn't constructed until 1936. This postcard, clearly postmarked 1920 would suggest that "a" lily pond existed long before that. It's been two years since I posted my pumpkin torte recipe, but since there are always new readers to this blog, and I get asked for this recipe every year around this time, I'm posting it again. This is seriously good stuff and it's my personal favorite dessert of all time. Enjoy, and happy Thanksgiving to all! With Thanksgiving looming on the horizon, thoughts turn to food and those special dishes we enjoy as we dine with family. I'll be doing the turkey again this year as well as the pumpkin torte that I'm known for. 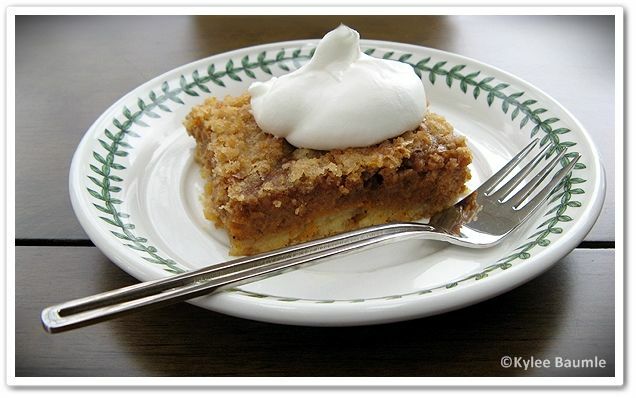 With the exception of my husband, our family likes this dessert better than pumpkin pie. It's not that he doesn't like the torte - he does. He just likes pie better. Enjoy the torte, enjoy the day, and don't forget to give thanks! About a year and a half ago, I did a project as a member of Lowe's Creative Ideas Garden Team in which I potted up a trio of herbs in a shelf planter that hung in a window. I designed it and making it and putting it together was a joint effort with my husband. My herbs grew well for several months in that south window, but the day came when I wanted something different. In the summer, that window can really generate some heat, and I had a few cacti that I thought would work out better. The herbs were constantly thirsty, so I transplanted the herbs to the garden and the cacti to my red pots. They've been living happily there for a little over a year now. 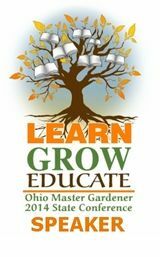 Last month, I spoke at the Ohio Master Gardeners State Meeting at Ohio Wesleyan University in Delaware. My husband and I arrived early with enough time to look through the vendor's area. I'm always attracted to unusual plants - most gardeners are - and though I vowed not to buy any plants while I was there, Groovy Plants Ranch had a couple that I simply couldn't resist. The price was good, too, at just six dollars each. I'd first seen Albuca spiralis 'Frizzle Sizzle' at OFA in Columbus the summer of 2013. James Greenhouses had several specimens of this curly cutie on display and they were causing a lot of buzz. This distant cousin of the hyacinth (you'd never know it though) is a bulb that must be grown in well-draining potting soil and allowed to dry out between waterings or the bulb is in danger of rotting. If you live in Zones 8 or warmer, you can grow it outside year round, but for me it has to be grown as a houseplant. 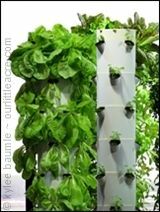 It likes full sun, and though it will grow in part shade, the more sun it gets, the curlier the foliage will be. Around late winter it will shoot up flower stalks that will bloom with yellowish-green flowers that are unremarkable but are said to have a slight vanilla fragrance to them. That's if it's grown outdoors, where it will go dormant in summer. I wonder what it will do in summer here. I haven't been able to find any information online that tells whether it will lose its foliage in summer when grown as a houseplant. Maybe one of my readers can enlighten me? It was a variegated prickly pear cactus - without the pricklies. Sometimes called Warm Hand Cactus or Velvet Cactus, it wasn't the lack of spines that fascinated me. It was the fact that it was variegated, because variegated plants in general are one of my weaknesses. If it hadn't been variegated, I'm pretty sure I wouldn't have noticed the plant at all. Ho hum. In case you were wondering, that hairy cactus in the middle is an Old Man's Cactus (Cephalocereus senilis). I've had it for several years now and it's about twice as tall as when I bought it. I learned early on that I had to keep it out of the reach of Simon, one of our inside cats, because he loved to lick it and chew on it. But mostly lick it. I guess he thought it was in need of grooming. My Old Man's Cactus is sporting a cowlick.